Trained in Kelowna BC, she gained extensive knowledge of lightning services and event styles. She continued her education by attending a plethora of color, cutting and styling classes. Chyloe is a contest winning stylist who has been invited to New York and Minneapolis to participate in hair shows and academy training. She has been with the Dannyco Artist team for two years and currently works with Chatters and Tommy Guns East Hills in Calgary Alberta. She loves to turn hair into art, whether it is with styling or coloring that is where her passion lies. Master Team, Owner @Axe Concept Inc. He holds a combined professional diploma, is a trainer at the Fédération française de coiffure and a salon manager for Franck Provost and Sergio Bossi franchises. Christophe's participation in many hairstyling competitions and shows in Paris as well as in the U.S., Canada, and South America allow him to share his experience, passion, and inspiration. With a career that spans 26 years in hairstyling and management, he has a contagious enthusiasm for simple, fast, and effective techniques and has developed training programs for a number of companies such as L’Oréal, Pivot Point, Joico, AQPSE, and Minerva. His achievements also include developing the haute coiffure course and providing business management consulting for La Biosthetique. Tassy's passion for hairdressing is present from a young age. It is at 12 years old that she began to do her friends and family’s hair in the basement of her house. One day she decided to perfect her art and successfully completed her training at the Faubourg school in Montreal. Fashion and new trends have influenced her a lot and made her a versatile hairdresser. Tassy is meticulous and attentive. For her, communication is the key to establishing a relationship of trust with her clients. Master Team, Stylist @Fiorio Salon As a young talented artist, Claude's Mom put a pair of clippers in his hands and this is where it all began... Claude was able to use his clippers to create shapes, designs and creative looks which had him soon using his skills to create cuts with his shears. Claude has worked with educators including Tony and Guy and Maurice Fiorio, and has taken his talents and flare of art and design to become a master at cutting and texturizing hair! As a young talented artist, Claude's Mom put a pair of clippers in his hands and this is where it all began... Claude was able to use his clippers to create shapes, designs and creative looks which had him soon using his skills to create cuts with his shears. Claude has worked with educators including Tony and Guy and Maurice Fiorio, and has taken his talents and flare of art and design to become a master at cutting and texturizing hair! Over his many years in the industry, Claude has also been able to attract an extensive and very loyal clientele, and has mastered the art of consultations and education. He has been able to mentor many stylists and continues to do so today. He's a cut above the rest! I started as a barber in 1990. Became a stylist in 1995. So I’ve been in the industry for 29 years. What brought me in the industry? Barbering was the first thing that intrigued my eye to the industry, I picked up fading with clippers in five years and wanted to learn shear cutting and styling. Creative, attention to detail, good listener, adaptable, Possess good technical and manual dexterity and confident. Always wanting to improve and educate myself on new innovations. 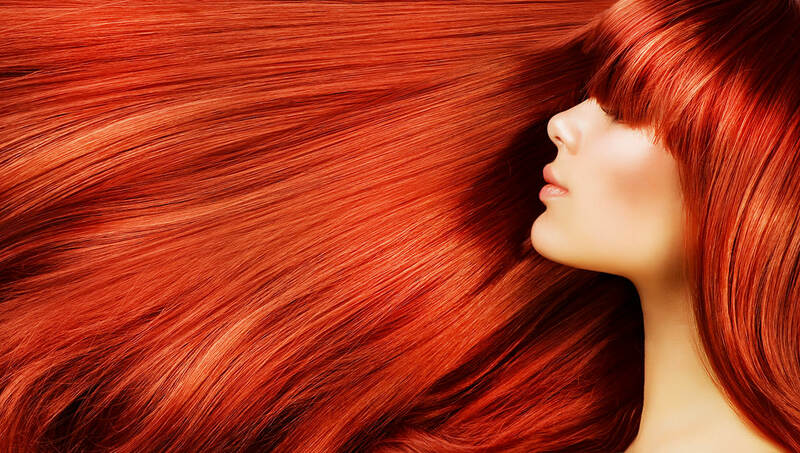 CUTTING and STYLING.. Makeovers and extensions..
Babylisspro has been the leaders of this industry for 58 years. They have been the revolutionaries of the electrical beauty industry and the innovators... ‘Tis the reason why I Choose work for Babylisspro. What major achievement in this industry have you accomplished? I believe my major achievement is diversifying my skills to be able to be work in many different avenues for example.. Teaching, sales, marketing and promoting, platform work, demoing, running a business, editorial and theatre, music videos, volunteering with the cancer society, wigs, extensions, winning most valuable stylist 2015 and 2017 with Dannyco. Although I don’t own my own salon, I manage and fully operate a salon for the region of peel for 4 years. Master Team, Stylist @Mane Society Salon & Spa With an admiration for all things beauty, design and art, Donna knew from a young age that she would find herself immersed in the world of hair. Skilled in many services including women's and men's hair cutting, color, up-dos and extensions, Donna is also a certified Master Colorist and a Makeup Artist. She has travelled to various cities as a Dannyco Professional Master Artist providing education on stage and in class. Donna loves being part of such a dynamic industry and strives to positively affect the way her clients feel about themselves. With an admiration for all things beauty, design and art, Donna knew from a young age that she would find herself immersed in the world of hair. Skilled in many services including women's and men's hair cutting, color, up-dos and extensions, Donna is also a certified Master Colorist and a Makeup Artist. She has travelled to various cities as a Dannyco Professional Master Artist providing education on stage and in class. Donna loves being part of such a dynamic industry and strives to positively affect the way her clients feel about themselves. Depuis combien de temps travaillez-vous dans l’industrie? Qu’est-ce qui vous a guidé vers cette industrie? Mon amour et ma curiosité pour tout ce qui concerne les cheveux, la beauté et l’art. Créer des coiffures et comprendre mes clients. En tant que chef de file de l’industrie capillaire, BabylissPRO crée des outils efficaces qui fonctionnent et produisent des résultats supérieurs. Quelle est l’une de vos grandes réalisations dans l’industrie? Avoir reçu ma certification de maître coloriste.